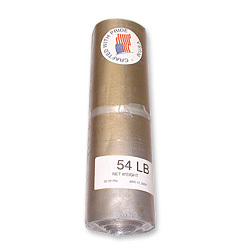 Mayco 0018-18 | 50LB Lead Flashing Roll 18" (13.33' Length) | Rafferty Aluminum & Steel Co., Inc. Please log in for product availability or call us at 800-732-5473 for a dealer application. All product imagery copyright © 2008-2014 Rafferty Aluminum & Steel Co., Inc.